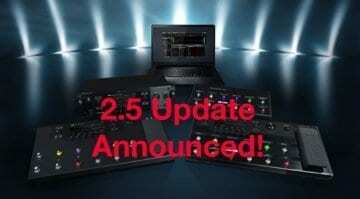 Atomic Amps has announced their new AmpliFIRE 6 compact amp modeller and effects processor which combines their original AmpliFIRE and AmpliFIRE 12 into one unit. 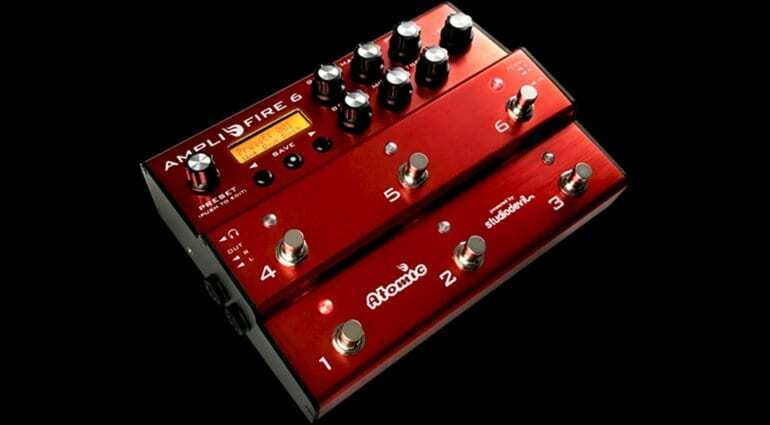 Combining amp modelling and effects processing technology into a compact, robust bright red foot pedal, the new AmpliFIRE 6 should be easy enough to lug around in this smaller format, which is always welcome for gigging guitarists. It has 6 fully assignable, silent foot-switches and these can be enhanced by using up to two external foot controllers via dedicated expression pedal jack inputs on the rear. 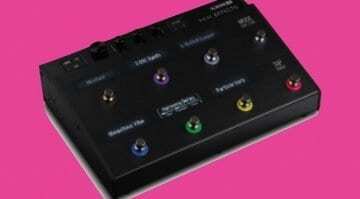 The back of the unit also includes their own ‘proprietary guitar input circuitry’ (I’m not exactly sure, what makes it different, but they feel the need to state this on their site) and also two sets of balanced outputs, an Aux input and a handy stereo effects loop for when you want to incorporate your favourite external effects pedals as well. It comes with full a complement of MIDI with In, Out and Through and also has a built-in headphone out, so it will also be useful for silent practice and can easily be a handy headphone amp for home use, or just practising whilst on the road. AmpliFIRE 6 has compatibility older AmpliFIRE & Ampl-Firebox lines, so you can utilise old patches or download new ones to the unit. The price is pretty competitive, just I fear that the compact aspect of the unit has made a bit of a compromise on the units display as it looks pretty tiny. I suppose if you edit it via your computer or tablet then this wouldn’t be such an issue, but Bluetooth control via an app would have been welcome here in my opinion. On the flip side, it is really nice and compact, looks to be pretty rugged design wise (it has an extruded aluminium chassis) and so I wouldn’t rule it out if it sounds good. 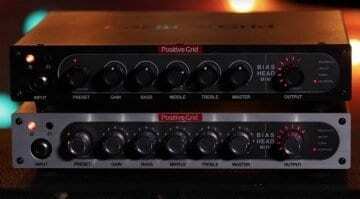 It is slightly cheaper and smaller than the new Boss GT-1000, which also launched at this year’s NAMM and so will get compared to that and products like the Line 6 Helix LT no doubt. 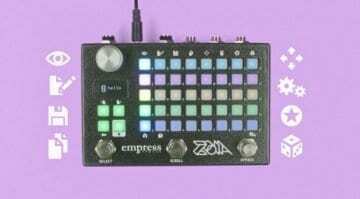 NAMM 2018: Empress Effects Zoia, er, Multithing. Pedal. Synth. Whatever.